Pope Francis, the head of the Catholic Church, has sent his message of prayer, solidarity and condolence to the people affected by Monday’s earthquake. The message was sent in a letter to the Catholic Bishops Conference by the Secretary of State in the Vatican, Cardinal Pietro Parolin, on behalf of Pope Francis. 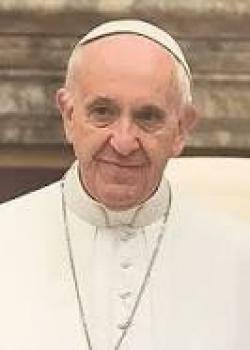 “Informed of the tragic loss of life and the destruction of property caused by the earthquake in Papua New Guinea, His Holiness Pope Francis expresses his heartfelt solidarity with all those affected by this natural disaster. “He prays especially for the eternal repose of the deceased and for the healing of those injured. Apostolic Nuncio Archbishop Kurian Vayalunkal added his own message to that of the pope: “I add my deepest solidarity and prayers for the victims and all |the people affected by this calamity.”.